New Arrival in Fine Wines SG! Need Recommendation? Check out our top choices! This Henri Bonnaud Palette wasn’t the rosé version, but rather the red wine with an interesting and promising blend. It consisted of 1/3 each of Grenache, Mourvèdre, and Old Carignan, I felt the blend was very interesting as it produced very tannic content, which implied that it can age quite well, while the magic of roundness and softness also kicked in, almost like Merlot but in a unique way. All in, I can only speculate such blend but I do think it has a lot of future potential! I swear by rosé for summer drink, and my first love for rosé was almost always Henri Bonnaud’s Palette. 2017 was a slightly weaker vintage, and it reflected on the wine itself. Nose was almost peach, passion fruit and creamy. Palate was fresh, crisp, and refreshing. Very cooling effect on this hot Singapore weather! Rosé did exceptionally well in 2016. I drank this next to the 2017 vintage I just reported on my earlier post, a huge contrast. This was a big rosé by any standard. Huge creamy nose. My initial sip was bitterness but it quickly disappeared (obviously a big wine), body was thick and rich, very creamy. This can surely age for a couple of years! 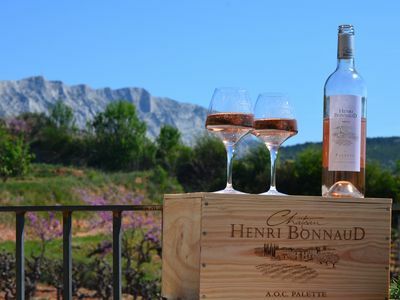 The AOC Palette is one of the smallest appellations of Provence and one of the oldest. Created in 1948, stemming from the specific character of its terroir, its microclimate and a long winegrowing tradition that produces wines with long ageing ability. It is rich and diverse with old grape varieties from Provence that has been respected and preserved! Its terroir is made up of a chalky gravel soil called of “Langesse” (a lakeside limestone of the tertiary era). 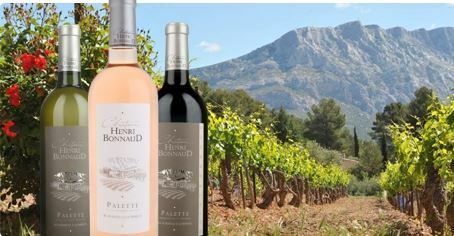 Their plots are located in a natural amphitheater, protected from the mistral by the Langesse and Grand Cabri hills, and by the Cengle and Sainte Victoire mountains; benefits from a microclimate. Our plots are spread out over 14 hectares of this beautiful appellation which counts only a total of 46. “Palette” appellation is one of the most confidential of France. Get the Best Price from Fine Wines SG! Check out our Henri Bonnaud highly recommended vintages and tasting notes! Click Here for Henri Bonnaud Prices and Wine Notes! Like to receive regular tasting note like this? List of Henri Bonnaud Available Right Now! Hot Buy!